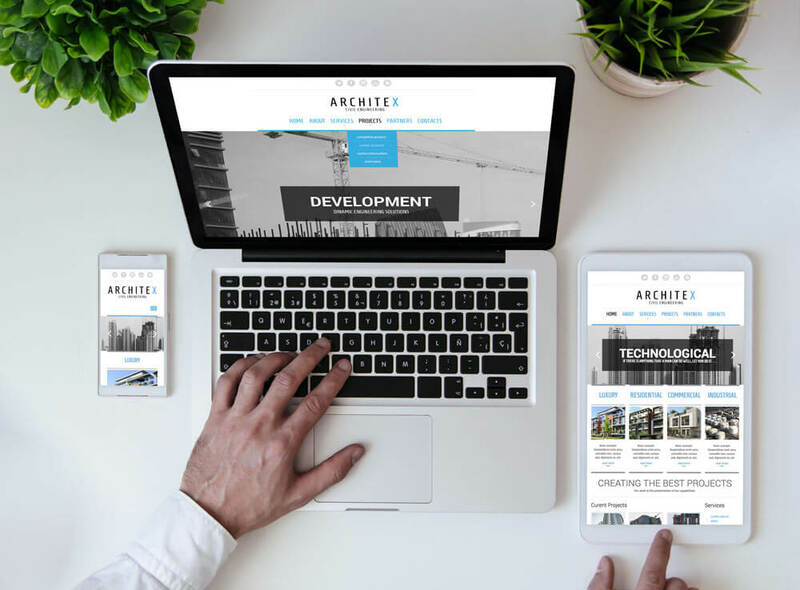 This Free Bootstrap template is designed for companies that are involved in construction and architectural engineering activities, like planning, designing, managing and constructing the building structures. The provided theme gives a perfect opportunity to present all company data in a very detailed manner and attract as many customers as possible. The bootstrap template is very famous on the market because it is an easy way to launch a highly functional website for a very decent price. Bootstrap templates are offering a wide variety of benefits especially for people, who do not have a thorough programming background. For altering the website’s content and design, based on one’s preferences and taste, any HTML editor can be used, for instance, Adobe Dreamweaver. 1. Home: In this section should be presented the most engaging, interesting and important information about a company. Include the mission and vision statements in order to demonstrate core company values, principles, and goals. Compromise various images of your company to make the front page very attractive. If you like the images provided in the given Bootstrap theme will free use them as well! 2. About: In this section should be presented a history of the company, for instance, when and why it was created, what kind of problems you solve, why you are the best service provider on the market and etc. Include the description and photos of team members, tell about their experiences and projects they have worked on. You will also have a space to present company testimonials that will, of course, affect customers’ attitude towards the company. Try to provide as much information as possible because it will increase the company validity and credibility among potential customers. 3. Services: In this section should present the information about the services that the company provides. Section involves four different pages that can be employed in order to describe all the services meticulously. Present various information like price range, customer feedback and etc. 4. Projects: In this section should be presented an information about projects. There are four different pages that can be employed in order to present all the relevant information. Reflect on current and past projects as well, compromise the most important information and also some estimates and figures. The projects can be categorized based on different categories or can be shown all together. 5. Partners: In this section should be presented with information about the company’s partners. Give a general description of what partnership means for a company and how it can be acquired by others. Also include additional information about current partners, their brand or company names, logos and etc. We also incorporated the Contact Form tool to facilitate the communication processes between companies and customers. If you have questions, regarding any topic, please leave them in the comment section and our support team will respond as soon as possible. In order to have smooth communication and explanation process with customers, the support group will provide video tutorials to answer your questions.